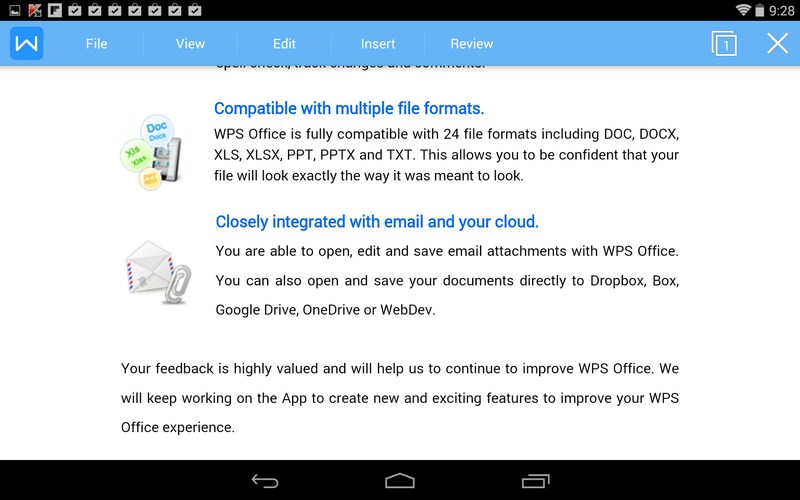 Kingsoft Office – Soft for Android 2018 – Free download. 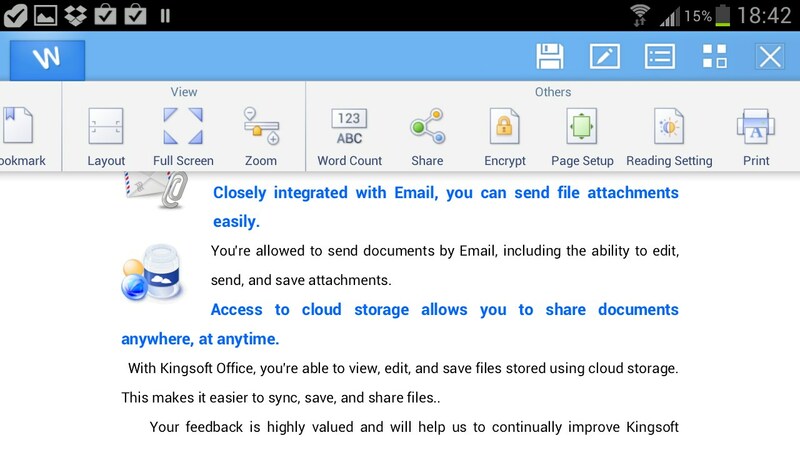 Kingsoft Office – Office suite for the rock bottom price of absoluetly free. 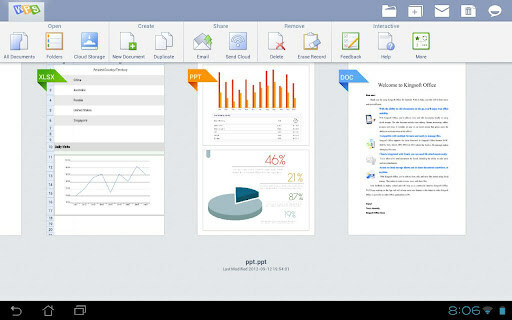 Kingsoft Office is a fully featured office suite that can create, view and edit Word docs, Excel spreadsheets and Power Point presentations. And best of all, it’s free. 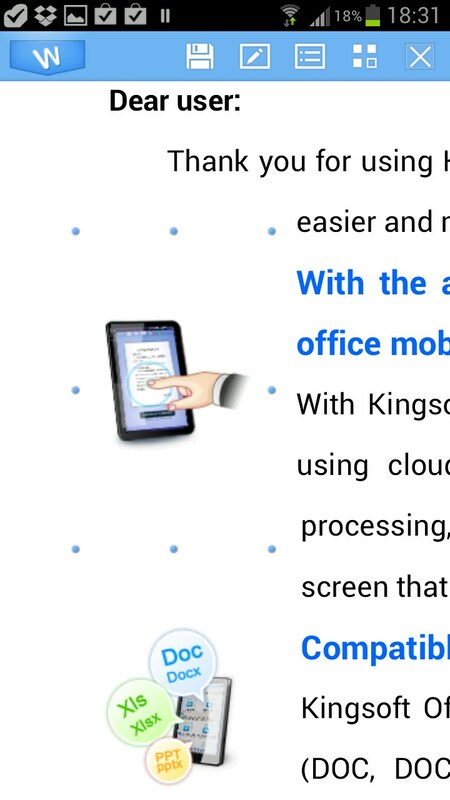 Kingsoft Office is highly polished and refined. It’s hard to believe it’s actually free. 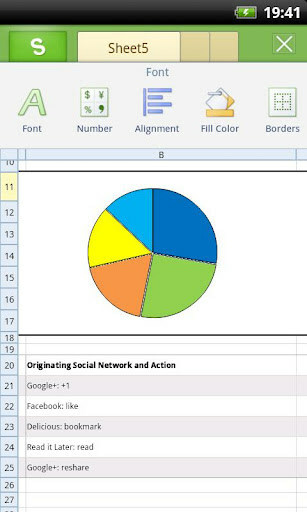 The layout is one of the best I've seen in an office app, even compared to the expensive paid ones, or the big dog apps from Microsoft and Google. 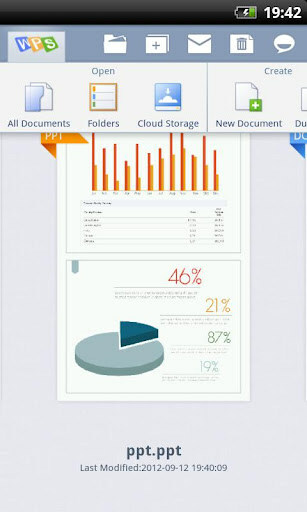 The interface feels a lot like the desktop versions of all your favorite Microsoft Office programs. 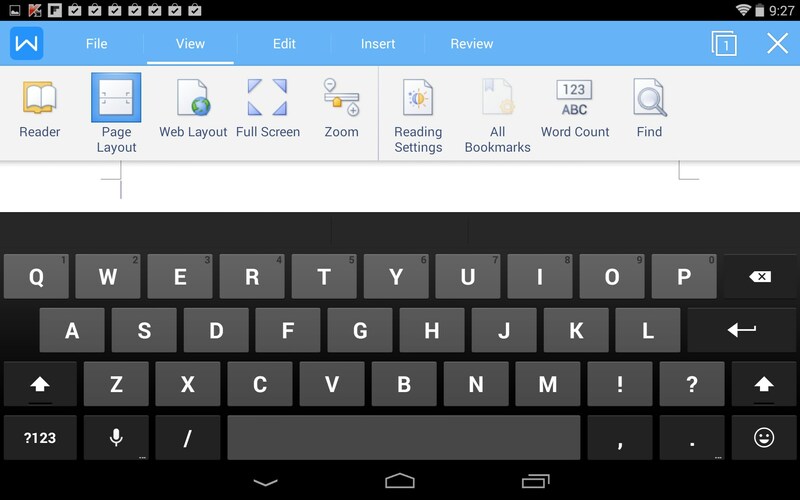 The text editing tools are convenient, the menus display user friendly icons and the app had no real hangs and functioned well for me. 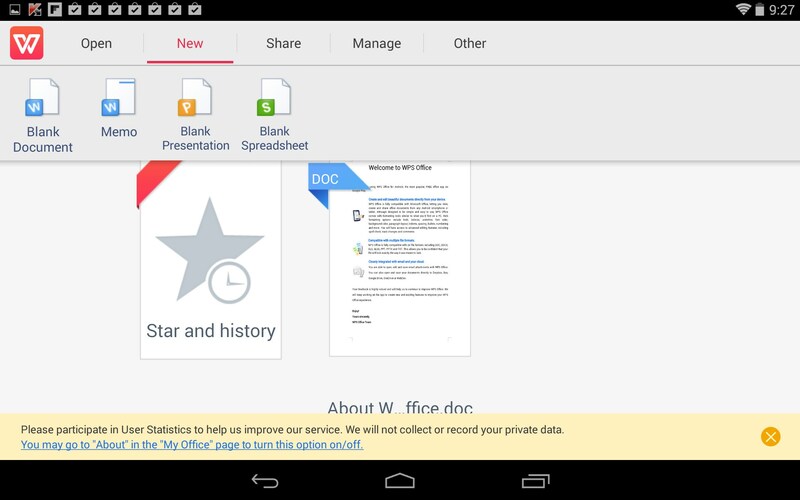 I really love how all these office utilities, including a PDF reader, are available from the same app. 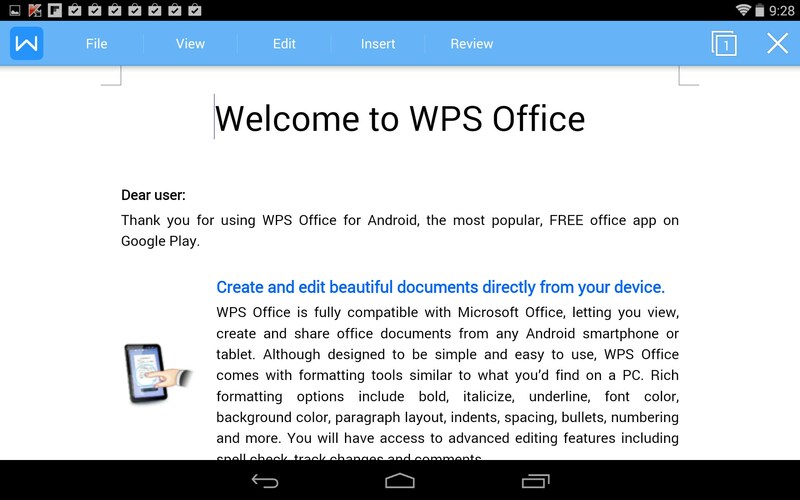 Google split their office apps in two; docs and sheets. 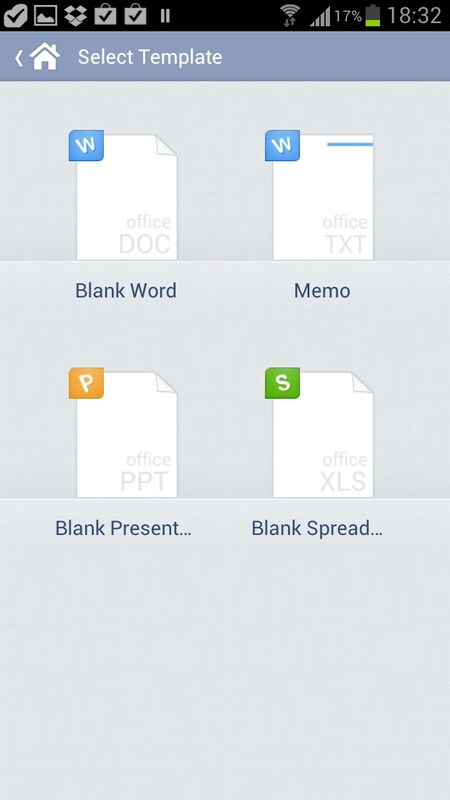 It’s far more convenient to just have all three office apps housed in the one interface. It just makes sense. 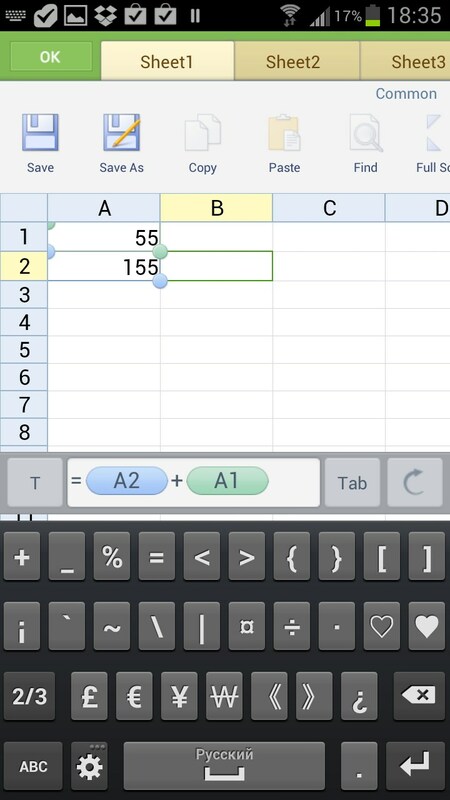 You’d think for a free app, the interface might look a little shoddy, but on the contrary, it’s very modern and well thought out. 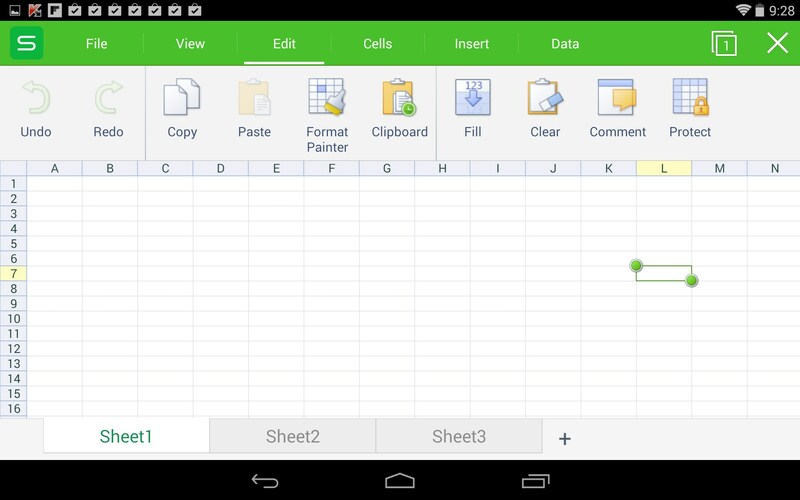 The controls make sense and display well on a tablet, though I still don’t think any of these office apps really work well on phones. 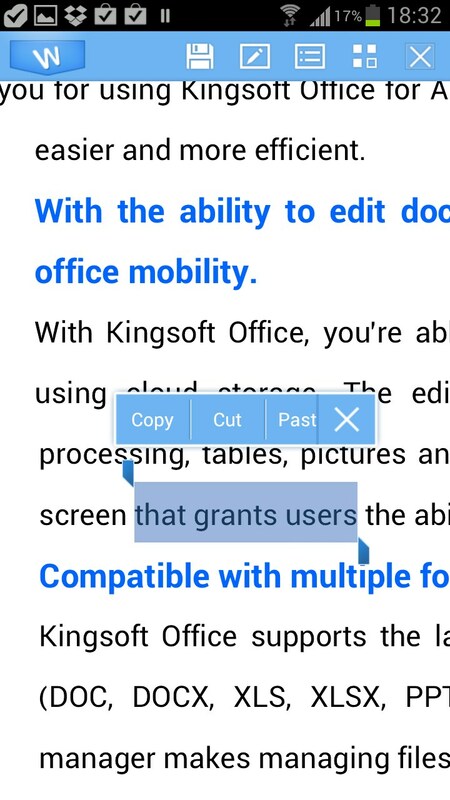 The biggest downside I encountered was the inability to save documents to external storage. This is hardly a deal breaker given the advent of DropBox and the like, but still, it’s an oversight that should be rectified. 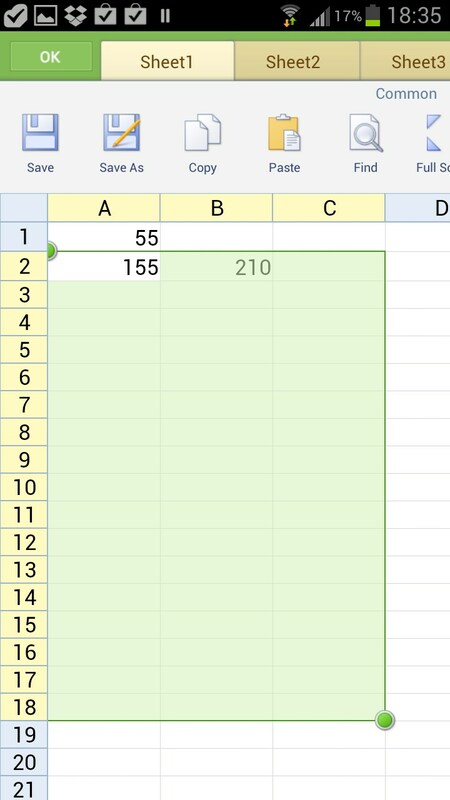 I also had problems creating larger Power Point presentations with a lot of pictures, but this may be due to system load, more so than a flaw with this app. 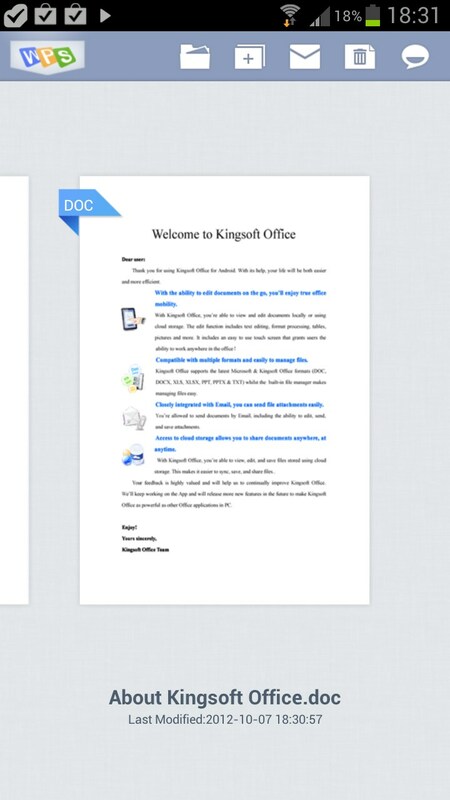 Kingsoft Office is a surprisingly good office suite; free or not. There’s really no need to spend money on a paid office app; I’ve tried them all, and this one is just as good as the next. Very nicely done. is it possible to open PP/ documents created by my professors and edit them? 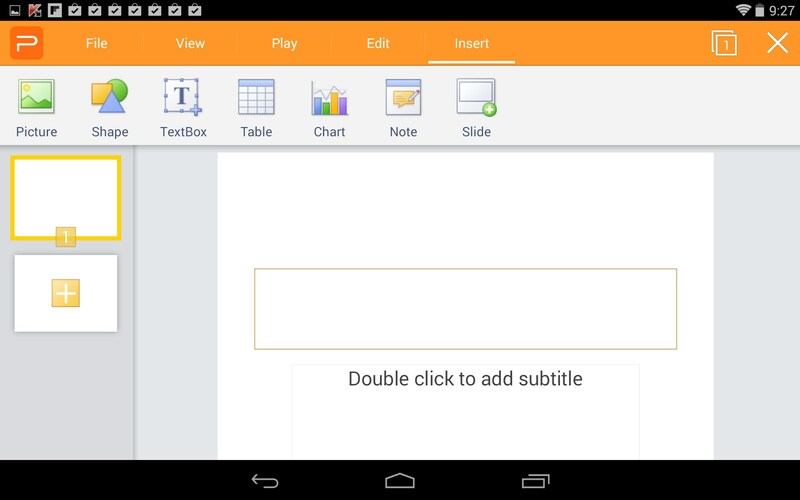 I'm a student and this is mostly what I would need the app for as I'm looking to get the new Kindle Fire to use in class. also can i email these doc/ PP to myself so that i can access them on my laptop later? My Mobile is Micromax Unite 2 with Android Version 5. .... But, when went to Play Stores and tried to Install, it rejected, .... said Not Compatible. Hi Sarit. Try searching for the app in your Play Store app. If it still says it's incompatible then you should be able to click on the text that says "incompatible" and a list of reasons will pop up. Slash zombies but not people!